How can I finance my commercial pilot training? 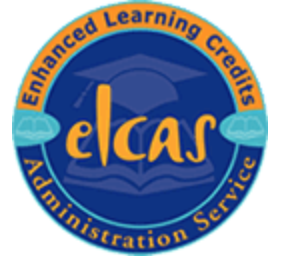 For service leavers only, ELCAS resettlement funding is available. What are the course start dates, durations and the subjects covered? You can start at the beginning of any module (every 2 months) and do the modules in any order. Detail of the subjects covered in each of the 3 modules is given in the Year Planner. Please specify your requested start date choices on the Application Form on "Enrol Now" Page. Revision Weeks - when are they, what subjects and how many must I attend? Residential students are expected to attend each revision week during their 10-11 month course and are scheduled to spend more than the CAA required 650 hours in the classroom. Distance Learning students must attend a minimum of 65 hours (10 days) classroom time during their course (CAA requirement), but are encouraged to attend up to 5 revision weeks. The revision weeks with practice exams and explanatory expert tuition are usually planned with a one-week cushion before your exams for final self study and tweaking of any weak areas highlighted in the revision week. What external costs are not included in the course fees? 1. CAA Exams. nearest CAA exam centre is at Ayr College near Prestwick Airport and our courses and revision weeks are geared to the exam dates at that Centre. You can book and take the exams at any CAA exam centre and the UK cost is £71 per exam which you pay directly to the CAA. So, budget £994 for all 14 exams. 2. Accommodation. If required, accommodation for our course is not included in the course price. A number of B&Bs and Hotels are nearby within easy walking distance. Dunfermline and Inverkeithing are the nearest large towns with bus links (better from Dunfermline). Costs are from £300 per month (all-in) for a professional room; on-site hotels and B&Bs are from £28 (B&B) per night. 3. Equipment Needed. The full list of CAA required equipment is on the link below. You should have many of the items already for your PPL, but the main costs are for the CRP 5 and the book of Jeppesen Planning Charts (it's the new version GSRPM 2017 edtion that you need). You can price and order these from any online pilot equipment store, but currently around £70 each. Hard copies of 3 CAA CAPS are required. These can be downloaded free from the CAA website and printed off by you. However, they are very big documents with a lot of graphs, so we have spirally bound booklets made up that most students purchase from us at cost (currently £25 for all 3). Budget £150-£200 for all this equipment required by the CAA for any ATPL course - see link below for full details. Other than the above items that are an extra cost, the iBook reference material (17 iBooks), all progress tests, practice exams, exam question bank access and lectures/revision weeks costs are all included in our course prices. Only 10 mins drive from Edinburgh Airport or 15 mins brisk walk from Rosyth rail station, we are located in a flourishing Business Centre in Rosyth EuroParc near the Naval docks/ Cruise Liner terminal with full facilities and easy free parking. It is just off the M90 near the 3 bridges. There are also excellent bus and train transport links to Rosyth, nearby Dunfermline and Edinburgh (city centre and airport). Very good value accommodation is available both on site and in Dunfermline. Typical rental for a professional room is from £300/month (all bills) or £450/mth for a 2-bed flat. The very local Caledonia Hotel charges from £28/night for B&B and there a number of other hotels and B&Bs within easy walking disance. Rosyth is 25 minutes by bus or train from the world renowned sights and attractions of Edinburgh and a 10-minute drive from Edinburgh Airport. Nearest rail stations: Rosyth (15 mins brisk walk) and Inverkeithing (hourly bus link). In parallel with the study for their ATPL ground exams, student pilots are encouraged to continue to develop their flying skills while on the course. There is a choice of several flying schools in the vicinity for hours building and flight currency requirements with few local ATC restrictions in the stunning Scottish scenery. Also, the structure of the residential course with 4 months of self study towards the end is designed to allow time for hours building immediately before starting your CPL flight training to ensure that you are fully current, not rusty! I just want some general career advice on how to become a pilot and the costs involved. Click on the tab below "How to Become a Pilot" and download our free e-Book on this subject.